Valkyrie Series by T.G. Ayer Blitz + Guest Post “Proper Care And Feeding Of Your Writer Friend+ Contest! *snork* I think I LOVE this author! She made me laugh till I snorted 😛 Check out T.G. Ayer’s guest post on Proper Care And Feeding Of Your Writer Friend. :) Ha! Good advice too. Oh! Oh! 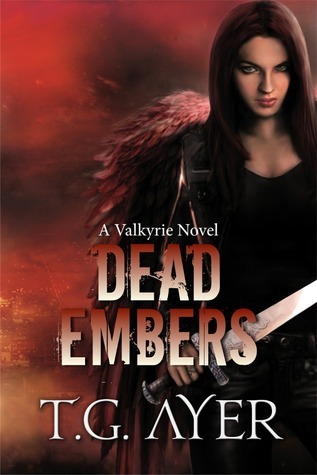 Her urban fantasy Valkyrie series looks like wicked fun. I want to meet Bryn and go on her journey. Add this series to your TBR pile and make sure you enter the TWO contests! Tips and Guidelines on ensuring your Writer friend receives a regular dose of social activity, not to mention the importance of food. Social activity is important. It helps stimulate brain activity. Unfortunately, the Writer seems to have a chemical imbalance that enables her* to function on dangerously low levels of social activity. In addition, Writers also suffer from an over-production of a strange (and as yet un-identified) hormone that convinces the Writer that food is not required. In the long term these imbalances can sometimes prove detrimental to a Writer’s long-term health. Below are some activities which you could use to help care for and feed your Writer friend. Writers possess a strange ability, also known as the power to shut out the world. This is a debilitating trait that can sometimes lead family and friends to wonder if the Writer has expired and her remains are frozen before her keyboard gathering dust and stinking up the place. When you do call, be prepared for the Writer to sound distracted- as if she’s just put milk in her steam iron, or added orange juice to her coffee. Give her time to get into the conversation – be aware that once she has readjusted to the social nature of your call she may talk your ear off, but seriously, it’s well worth the effort. Ensure you insert at least five reminders to eat. More often than not, the Writer does not know what’s best for her (I know, isn’t that a shocker?). Despite what a Writer may think, it is crucial for her to be exposed to fresh air and sunshine from time to time. Be aware that most Writers will shy away from such activities- they are akin to vampires in their dislike of The Out**. However, knowing what is best for the writer will give you an advantage in such a situation. Go well prepared. Go in numbers if necessary. A crowd is much more convincing for a Writer so this will give you the upper hand in order to subdue her. Be prepared for there to be pyjama’s. The Writer’s need to work precludes the necessity to change out of nightwear, especially when gripped by the early morning urge to write down whatever crucial story developments have occurred through the night. Be prepared to wait while the Writer showers and changes, and be prepared to send her back to her wardrobe to change out of her old tracksuit and even older trainers. Demand that she prettify herself- believe me this will work wonders even if you find yourself dealing with a grumpy writer- the resistance is inevitable but will dissipate in due course, and more than likely the Writer will appreciate your efforts. Do not be afraid to be bossy, and demanding. Taking no for an answer in this situation will give you one hundred percent positive results. Also, will the promise of food. Warning: ring up the Writer’s significant other just to check if you are not appearing on the Writer’s doorstep the day before a super-important deadline. Skipping this step may result in turning the semi-sane Writer into a babbling, hair-pulling, drooling mess, and you may have to leave in a real hurry to avoid jailtime for inflicting stress induced insanity. On the rare occasion that the Writer is unable to leave the house for extended periods ie the next day deadline situation discussed above, I am happy to advise that there is an alternative method you can use to give the Writer a breather. If the Writer cannot go to the mountain coffee then the coffee shall cometh to the mountain Writer. Yes, my suggestion is bringeth the coffee. Takeout coffee and sticky pastries, or just bring something chocolatey and rummage in the Writers pantry for coffee. Chocolate to a writer is like a banana to a monkey, or a peanut to an elephant (disclaimer- there are some of the Writer species to whom chocolate & coffee do not appeal, scientists are currently studying specimens of this variety to further understand this anomaly). Knowing the Writer’s taste in entertainment will help with this suggestion. Entice the writer to leave her writing/editing cave with a movie somehow related to the novel she is currently writing/editing. If your Writer prefers to work to music, investigate her tastes and entice her out of the house with her favourite rock/pop band concert or a classical performance she would enjoy. Again, be prepared for a little resistance but it has been discovered that anything with a link to the actual writing process is a powerful tool to ensure the Writer remains in touch with society. Also, ensure that some part of this activity includes the ingestion of food. The Writer may, on occasion, request chocolate instead. Please resist the urge to comply. Contrary to a Writers opinion chocolate is not food. Writers are human- this may be hard to believe but it is a scientifically proven fact***, do not doubt this. If you use any of the above suggestions in the Care of you own Writer Friend, I would love to hear from you. * Writers exist in both male and female form. For ease of writing this article, the feminine form has been used. No offense to the male of the species is intended. ** The Out- a term created by Editor Annetta Ribken- All Hail the Cookie Queen! *** We do not condone human or writer experimentation. No writers were harmed – either physically or emotionally- in the study. 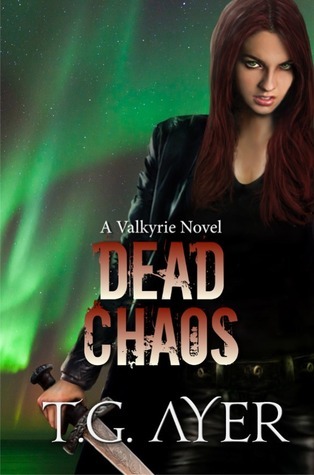 Valkyrie-in-training Bryn Halbrook just can’t catch a break. With her boyfriend stuck in Hel and the taunting laughter of Loki still ringing in her ears, she struggles to concentrate on her training and duties in Odin’s realm. The last thing she expects or wants is more adventure—but then treachery, a shocking abduction and a chilling discovery send her forth on another perilous, globe-hopping mission. As the ultimate battle, Ragnarok, draws closer, it’s a race against time for Bryn, Fenrir and their team to discover who kidnapped her foster brother from the halls of Asgard and what’s causing the mysterious deaths of so many of Odin’s chosen warriors. 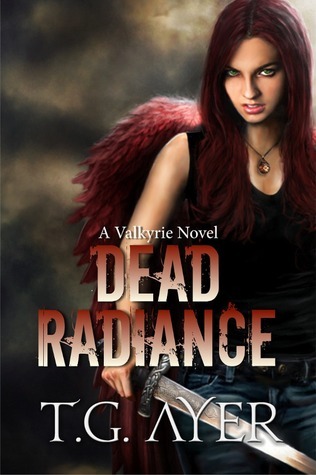 In the exciting sequel to DEAD RADIANCE, Bryn encounters dwarfs and dragons, new friends and old foes—but worst enemy of all may be the person she trusts most! This looks great! Thanks for sharing and for the giveaway! Next PostNext Launch Day Blitz for Kristen Ashley’s Jagged + Excerpt + Contest!